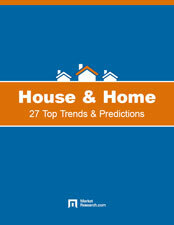 MarketResearch.com’s e-book explains how the house and home industry will evolve over the next five years. With a digestible, quick-to-read format, this e-book helps business professionals get up to speed on shifting market dynamics in key regions around the world. Stay ahead of the curve. Get free access to the latest market intelligence.